Skin and scar treatment can include a range of different treatments. Depending upon the type of treatment, an initial consultation with either a Consultant Dermatologist or a Consultant Plastic Surgeon should take place. The Consultant can then consider the treatment options based on factors such as skin type, colour, size, age of the patient and the nature of the scar(s). Laser (light therapy) uses pulses of light to reduce the redness in a scar. The techniques works by targeting the blood vessels in the excess scar tissue. Surgery may be help to improve a scar by making the scar appear more natural. 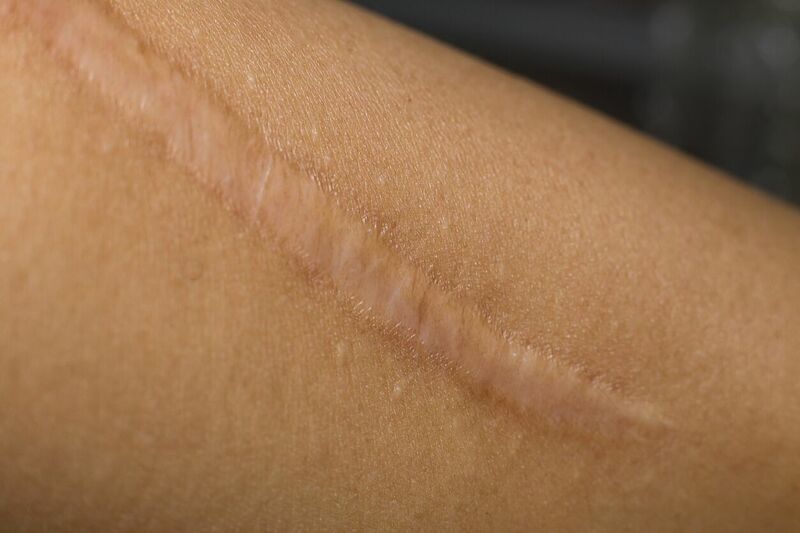 A skin graft may also be used to make the scar less noticeable. Surgery may also help to improve movement if the scar close to a joint is causing tightness. Silicone gels (or silicone sheets) may be recommended for healing skin to help soften and flatten a scar. They may also help to relieve itching and discomfort. When a scar cannot, for example, be improved skin camouflage (make-up) may be recommended. Specially trained skin camouflage practitioners can provide advice on such issues as finding the best colour match for your skin tone and teach you how to apply the make-up, which is waterproof and can stay in place for two or three days. Liquid nitrogen can be used to freeze keloid scars. The cryotherapy may help to flatten keloid scars and stop them growing (if used early).